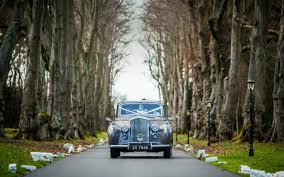 There are numerous beautiful Edinburgh wedding venues to choose from, but every couple wants their special day to stand out above the rest so we’ve compiled a list of some of the most unusual in and around the city. 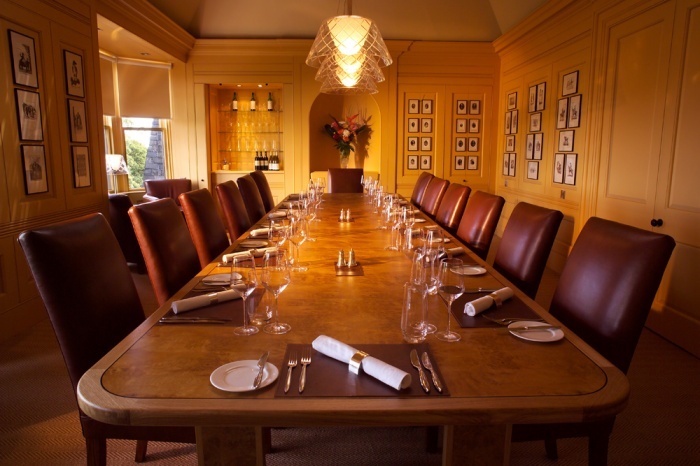 The function rooms at the Scotch Whisky Experience are stylish enough to host the most elegant of celebration, but the real USP of this venue is the purpose for which it was built – whisky – and the options available for incorporating this huge part of Scotland’s heritage into your day. The modern venue, with award-winning cuisine, pays homage to its heritage at every turn but add to this the unique experiences available and your guests will be talking about your special day for years to come. Larger receptions can be hosted in the light and airy Castlehill Room, which is hung with a unique chandelier of whisky barrel stays, and pays homage to its heritage with a whisky inspired stained glass window at one end, whilst the modern warmth of the Blenders Room or the amber glow created of The Whisky Collection Vault, home to the world’s largest collection of whisky, are perfect for an intimate wedding breakfast. No celebration at The Scotch Whisky Experience would be complete without incorporating Scotland’s national tipple into the occasion and this can be done with a whisky tasting, a menu with whisky matching or even allowing your guests to create their own blend under the expert and light-hearted guidance of the skilled hosts, before being given their very own sample and certificate to take home. 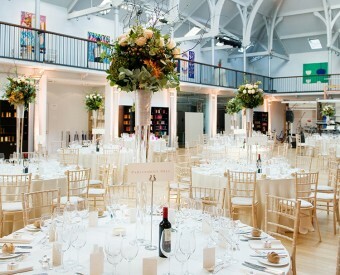 The beauty of the Dovecot Studios, converted from Victorian Baths, is its number of areas available and the flexibility this creates as a wedding venue, allowing the ceremony, the wedding breakfast and evening celebrations to be held under one roof as guests move from one area and theme to another. The vast viewing balcony surrounding the weaving floor is large enough to accommodate a wedding breakfast for up to 250, together with a bar and band or, to hold a ceremony along one side of the balcony, before moving to the weaving floor below for the wedding breakfast. The weaving floor, with a cathedral like vaulted ceiling, immense skylight and backdrop of imposing weaving looms set against crisp white walls gives a feeling of light and space that can be dressed for sumptuous dining or, with the clever use of lighting, used as an evening reception space. There are a further two large rooms in the Dovecot Studios, which are interlinked and have an almost industrial feel, making them ideal for evening entertainment, with one area used for a drinks reception adjoining a slightly separated for dancing. If all of this weren’t enough, there are small rooms within the venue, where the wedding party can dress or make the final preparations to their outfits without the risk of the weather making alterations of its own before the ceremony. There are few couples that can celebrate their marriage to the backdrop of Degas, Van Gough, Picasso or Warhol, but with a choice of different venues offered by The National Galleries of Scotland you can do just that. 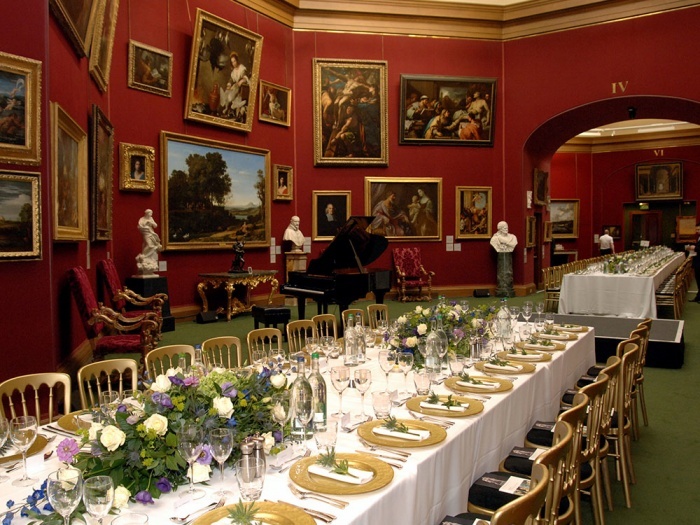 The iconic National Gallery itself, at the bottom of Edinburgh’s Mound, is renowned as a home to one of the finest art collections in the world, but few realise that the gallery transforms into a truly breathtaking space for lavish wedding breakfasts, which can be accompanied by tours of the many famous works. 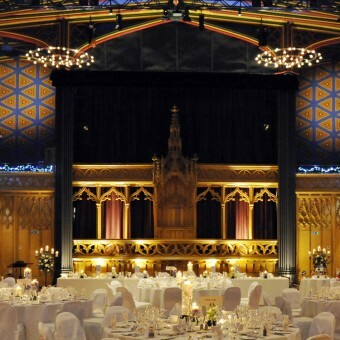 The gothic arches, painted murals and stained glass windows of the Scottish Portrait Gallery combine to create an intimate atmosphere for a wedding banquet with famous portraits and a collection of busts making talking points at all angles. Above The Great Hall, the Ambulatory provides a separate space for a sophisticated drinks reception whilst the space below is transformed for evening entertainment. Modern One and Modern Two, in Edinburgh’s West End, are set in their own grounds allowing for a twinkling evening reception and dancing in the garden terrace following a wedding breakfast in either of the two galleries. The dramatic lawn to the front of Modern One, landscaped by Charles Jencks, can be used to create theatrical scenery for photographs, whilst Martin Creed’s “Everything’s Going to be Alright” on the façade of Modern One is enough to dispel the nerves of any bride. Standing proudly at the top of Edinburgh’s Royal Mile, the Hub is a breathtaking union of classic Victorian architecture and award winning design, which boasts state of the art AV equipment to add an extra touch of sparkle to your nuptuals. It’s often said that first impressions count and the visual impact of the Hub begins before you even enter with the building bathed in a wash of coloured light and real flame torches in the entrance courtyard giving the merest hint of the dramatic interior. The main function rooms of the venue are reached by the sweeping staircase of the Sculpture Hall, strikingly lined with 200 figurines of past festival performers before guests enter either the tranquility of the Dunnard Library or the vibrant Main Hall. The gothic windows, neutral decor and soaring timber framed ceiling of the Dunnard Library create an air of ecclesiastical serenity for a ceremony of up to 70 people, before guests are invited to the resplendent Main Hall for a sumptuous wedding breakfast and evening of festivities. Decorated in a radiant royal blue, the Main Hall is truly dazzling, with an impressive pulpit creating a theatrical backdrop for ceremonies and a fully sprung floor, stage for a band, in built lighting and sound system for the most extravagant evening celebrations. 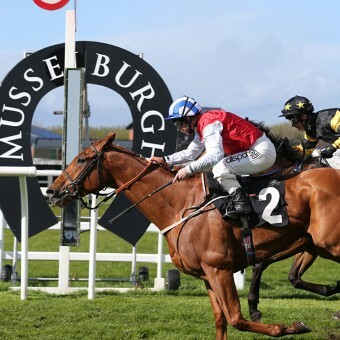 Musselburgh Racecourse is a five star attraction that can be hired at any time of year for a wedding ceremony, but consider for a moment adding the thrill of a race day to your celebration and your guests will have a truly memorable experience. The recently refurbished Queens Stand Suite can accommodate ceremonies and receptions for up to 200 under the meticulous guidance of the award winning team at Heritage Portfolio before the racing begins. After the racing for the day draws to a close and the guests have placed their final bets, the wedding party and guests will be thrilled to return to the Queens Stand, which has been redressed for an evening of celebratory champagne, cocktails and dancing. Originally built in the 18th century as a private dwelling, 28 Queen Street, situated in the city centre, has recently undergone a major refurbishment and offers a luxurious location for an intimate wedding with the delights of fine dining. The Edinburgh venue has a choice of three function rooms which have recently been painstakingly restored and offer their own distinct character, as well as use of the wonderful gardens in Queen Street for stunning wedding photographs. From the top of this magnificent building the wood paneled Hunter Room has breathtaking views across the cityscape and the Firth of Forth to Fife. The room is set with a burr walnut dining table creating a mellow and sophisticated atmosphere in which to for up to 18 guests. With light streaming in through its large Georgian windows, the North View Room offers elegant simplicity around which to decorate with the chosen bridal colours, whilst the aptly name Oval Room, with period features including an original fireplace and tromp l’oeil panels, creates the closeness offered by small gathering in luxurious surroundings. 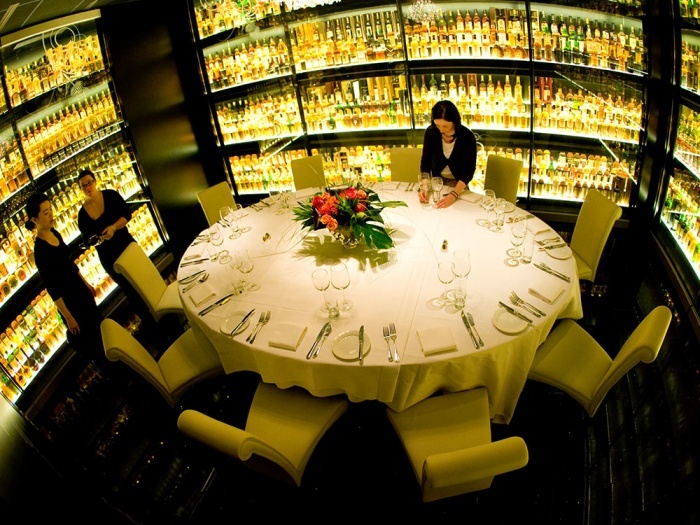 Although the Scotch Malt Whisky Society has an impressive wine menu, it would seem a shame not to include a dram or two in your celebrations, whether this is matched with the meal itself or separately as a tailored whisky tasting. Standing in 35 acres of parkland, Carberry Tower, approximately 15 minutes from the city by-pass, has played host to kings and queens and princes and princesses since it was built over 500 years ago. A modern chapel with floor to ceiling windows on one side overlooking a walled garden within the grounds of the estate offers a modern twist to wedding ceremonies, before guests are invited to either the Champagne Terrace or elegant Drawing Room to celebrate the joining of the happy couple. The Champagne Terrace, which was gifted by the late Queen Mother to her sister, perfectly encapsulates the spirit of a summer garden party, where guests can enjoy views across the grounds before making their way to the Banqueting Pavilion. The purpose built Banqueting Pavilion is hung with chandeliers and white draping, allowing the space to be personalised with floristry and lighting for a wedding feast, before guests enjoy the evening celebrations in the main building’s Rose Garden Rooms to the sounds of a ceilidh band. Guest accommodation at Carberry Tower comprises the Bridal Suite and a further selection of 29 en-suite rooms for other guests, who, should they choose to stay for longer than one night, can take part in falconry, treasure hunts, whisky tastings or a cocktail master class.